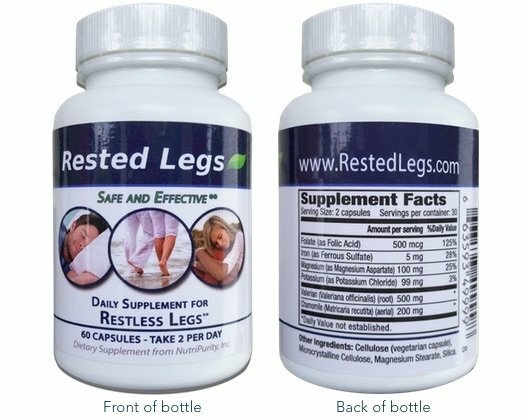 In spite of the Food and Drug Administration’s repeated warnings of serious health risks, off-label quinine (an ingredient found in Tonic Water) apparently continues to be used by many as a folk remedy for muscle cramps, a common symptom of people who suffer from Restless Legs Syndrome. The conclusions of a study published as a research letter in the May 9, 2017 Journal of the American Medical Association (JAMA) indicate that long-term use of quinine poses an increased risk of death to RLS patients and other individuals who suffer from muscle cramps. According to the May 17, 2017 online edition of Sleep Review, the study encompassed more than 175,000 individuals whose health records were gleaned from a primary care database in the United Kingdom. Quinine has been used to treat muscle cramps since the 1930s. In 2006, the FDA banned the off-label use of quinine, citing 665 adverse health events with serious consequences, including 93 deaths. Under the FDA ban, the only drug containing quinine that can be lawfully prescribed is Qualaquin, which was developed to treat malaria exclusively. In spite of the warnings, quinine is still prescribed to individuals with muscle cramps of unknown origins. Citing the FDA, Consumer Reports states: “.. in the first six months of 2008, more than 124,000 people in the U.S. received close to 300,000 prescriptions for Qualaquin. The Centers for Disease Control reports that only 1500 people were treated for malaria in 2008, concluding that off-label prescriptions for quinine were still prevalent. Quinine is also present in many drinks such as bitter lemon and tonic water, resulting in increased exposure. Of those surveyed, there were 11,598 deaths (4.2 per 100 person-years) among the exposed individuals vs 26,753 (3.2 per 100 person-years) among the unexposed individuals. NOTE: Please reconsider, if you use quinine (common ingredient in Tonic Water) as a means of calming your RLS symptoms, and/or relieving muscle cramps, it is recommended that you discontinue this practice. At Rested Legs™, we are committed to providing up-to-date information, whether it’s helpful tips or warnings of dangerous activities, such as overconsumption of quinine as described above. Be sure to visit our blog section of our website, for more helpful information. ADDITIONAL NOTE: Please be sure to forward this article to anyone who you may think this important information may help.